"An apple a day keeps the doctor away", but what does it do for teachers? As I ponder how did the tradition of bringing an apple to a teacher, you can make these yummy apple cupcakes. 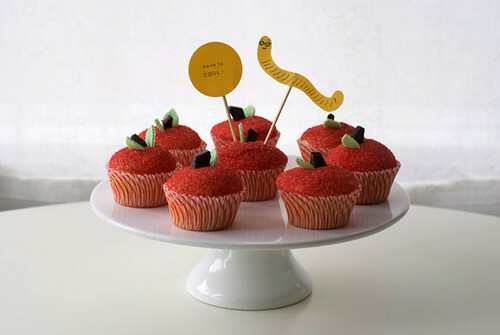 Made by Coco Cake Land, check out her tutorial on how to make them.